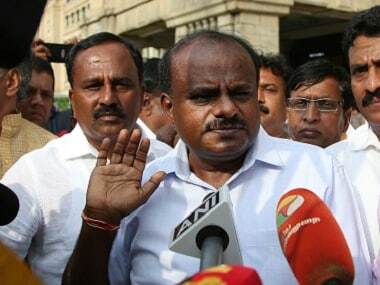 Bengaluru: Counting for by-polls on three Lok Sabha and two Assembly seats were held on Tuesday, and according to final numbers, BJP has been pulverised by the Congress-JD(S) coalition. 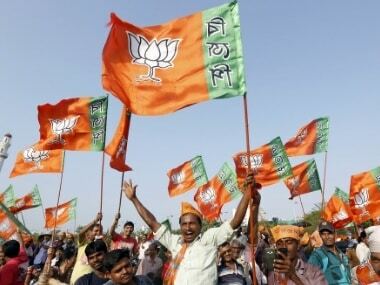 Out of five constituencies — Jamakhandi, Ballari, Mandya, Ramanagara and Shivamogga — the BJP managed a win only in the Lok Sabha constituency of Shivamogga. There are several factors in play as to what went wrong for the BJP, and how the Congress and JD(S) swept four constituencies. Ground zero indicators suggest that it was the magic woven together by the unified coalition, by sticking together, while BJP’s leadership in the state pushed their preferred candidates that determined who won and who lost. Two classic examples, Shivamogga Lok Sabha constituency and Ballari Assembly constituency, can be analysed. Former chief minister BS Yeddyurappa, who had led the BJP campaign across the state in the last Assembly polls, concentrated only on Shivamogga where his son BY Raghavendra had contested. On the other hand, JD(S) had an understanding with the Congress and fielded Madhu Bangarappa, son of late S Bangarappa, another former chief minister of the state. It was clearly a fight between the the veteran politicians’ sons. Though victory was achieved by BJP’s BY Raghavendra, the winning margin of just 52,148 votes, was not as expected -- Raghavendra secured 5,43,306 votes while Madhu Bangarappa secured 4,91,158 votes. JDU’s Mahima Patel, son of former chief minister JH Patel got 8,713 votes, while Shashidhar Gowda, an independent candidate received 17,189 votes. In Ballari, Sriramulu’s insisting that his sister, Shanta, be given the chance to contest did not go down well with the people, who have been witness to the sharing of power among siblings previously as well in the case of Reddy brothers -- Somashekar, Janardhan and Karunakar. Sriramulu was an associate of the Reddys who have been rooted in the mining business. The huge margin with which Congress’ VS Ugrappa defeated BJP’s J Shanta in Ballari is evident of the mood of the electorate who had had enough of the siblings’ rule. In a victory that could well classify as ‘historic’, Uggrappa defeated Shanta by a margin of 2,14,826 votes, securing 5,54,139 votes and stopping Shanta at 3,39,313 votes. This is the largest vote margin by far that any Congress candidate has won in Ballari. The BJP had seen too much power in Sriramulu. Despite the party winning only 15 of the 35 seats entrusted to him in North Karnataka region during 2018 elections, his image as an electoral superman did not take a hit. Going into the bypoll, the nominated candidate, his sister Shanta, was an example of Sriramulu’s authority. However, the people seem to have decided against his choice. People of Ballari have only repeated their opinions after having shown the doors to TH Suresh Babu in Kampli and Pakirappa in Ballari rural in the 2018 Assembly polls. Both of them close relatives of Sriramulu had contested on BJP tickets. The success of JD(S) candidates in Mandya and Ramanagara had been considered as a foregone conclusion much before the polling in these constituencies. All these years, Congress was considered as their primary rival in both Mandya and Ramanagara. With Congress extending their support to the regional party and BJP fielding candidates carelessly, there was no stopping JD(S) from dominating the polls in this south Karnataka region. 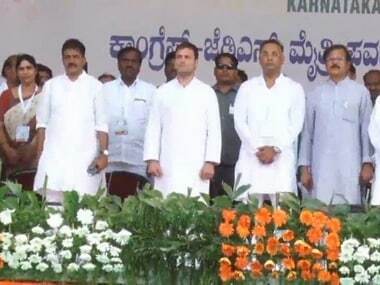 Though several Congress workers found it tough to campaign for JD(S) candidate Anitha Kumaraswamy in Ramanagara, senior leaders such as DK Suresh and DK Shivakumar played a key role in ensuring victory through their allies. BJP members alleged that Bangalore Rural MP, DK Suresh, was instrumental in the withdrawal of BJP candidate L Chandrashekhar from the contest on Ramanagara seat in support of Anitha Kumaraswamy. It is surprising though that despite pulling out of the race, the BJP candidate secured 15,906 votes. While Anitha’s sweeping victory has ensured that Ramanagara remains a JD(S) stronghold, if some inside sources in the JD(S) are to be believed, the masterstroke was engineered by party chief HD Deve Gowda. 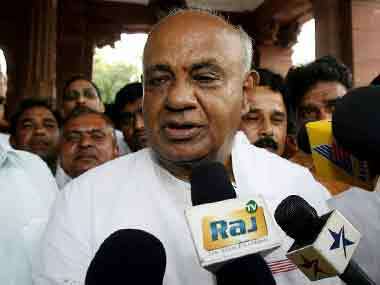 In Mandya, the success of JD(S) candidate L Shivarame Gowda, was a predictable conclusion. With Congress agreeing not to field its candidate and BJP selecting not-so-popular Dr Siddaramaiah, JD(S) succeeded in retaining the seat that was vacated by C Puttaraju, after he was elected to the Karnataka State Assembly as a minister in the HD Kumaraswamy cabinet. The other reason for BJP’s embarrassment in Ramanagara is the lack of coordination among its top leaders. Apart from former Union minister DV Sadananda Gowda, no other BJP leader evinced interest in campaigning in Ramanagara. It is also a known fact that the BJP leadership has no wherewithal to compete against the Congress or JD(S) in Ramanagara since it is yet to strengthen its cadre there. The BJP leadership is heavily dependent on CP Yogeshwar who was defeated in Channapatna Assembly by JD(S) candidate HD Kumaraswamy. In Jamkhandi, it was expected that Anand Nyamegouda would ride the sympathy wave to some extent in his first run at an Assembly seat. Anand’s father, Siddu Nyamegouda, is credited with developing Bagalkot from an agricultural district to a hub of horticulture, industrial tourism and transport services. He had died in a road mishap soon after the 2018 elections. Anand Nyamegouda polled 97,017 votes against his BJP competitor Shrikanth Kulkarni, who polled 57,537 votes, winning by a margin of 39,480 votes. Despite the fact that voting average was at 68.5 percent across all five constituencies, the margins by which the victors won, is something to reckon with. The largest being that of VS Ugrappa from the Congress. The authors are members of 101Reporters, a pan-India network of grassroots reporters.